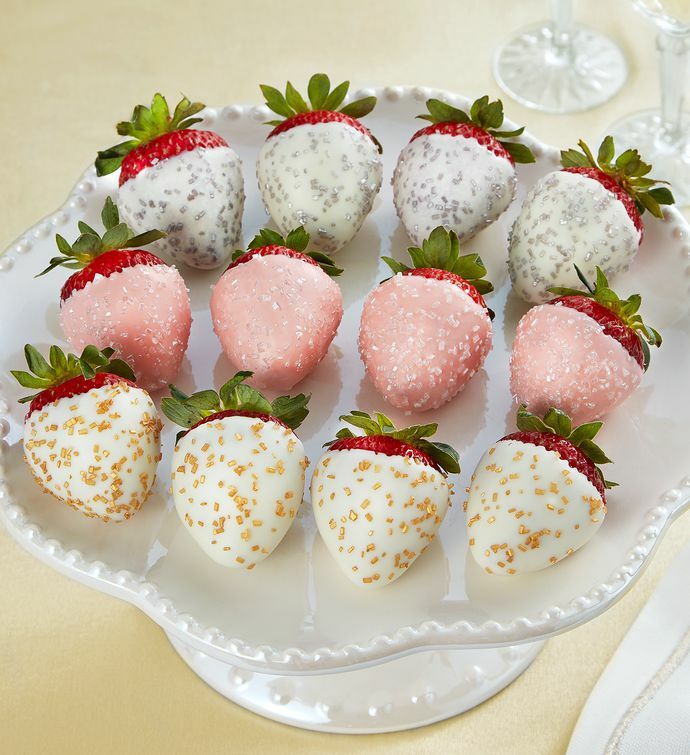 Celebrate in the sweetest way with one dozen premium strawberries hand-dipped in champagne-infused white chocolate. 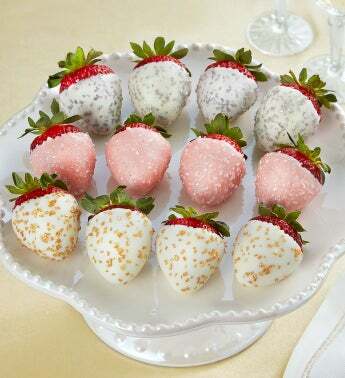 Four of the dipped berries are tinted pink, and all are topped with platinum, clear, or gold sugar crystals for an impressive presentation. These berries ship overnight and arrive in a decorative Berrylicious gift box.